We don’t have any culture of cowbell, so we ordered to America to make them. We used turquoise color for the base color and put SFM logo on it. The finidhed products are very cool and cute!! I was worried and excited about the finished but I’m very satisfied with these. The sound is just about “This is the Cowbell! !”Lol and I trust it’s very good for cheering in mountains. 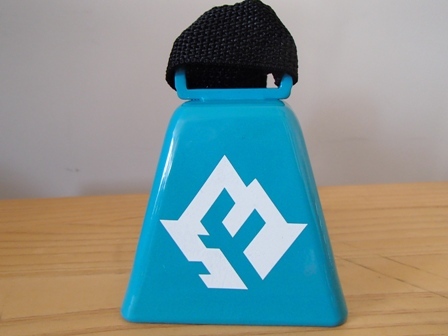 This cowbell is on sale for only “Seiwataki MTB race 2014” on Feb 11th!! So why don’t you come and get it? Today, I have 2 things to announce you. 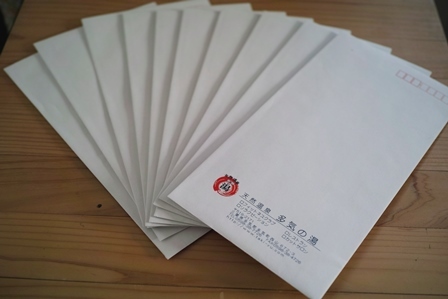 We reached a quorum and now finished the application. We are hoping to hold a good race with everyone’s power. on 2/10 instead of 2/12 for the race. And it would be a free day!!! Please use the course before you go on the race if you have time. And of course not only the appliers but also other customers are welcome!! 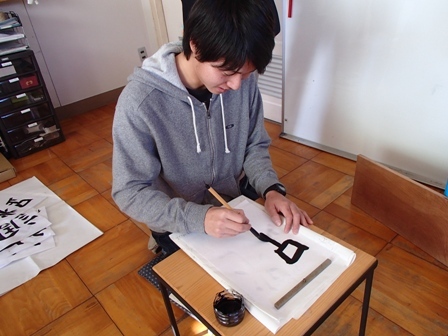 I went to “Ise shrine” on 1st of Jan as my first visit this year. 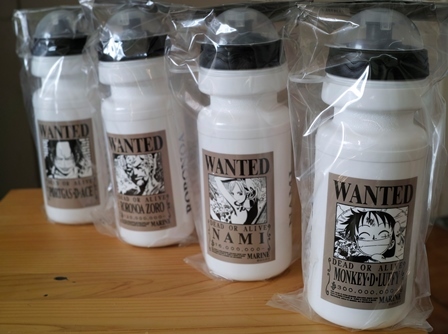 at there and I got the greatest one called “Daikichi” and that made me so happy!! Well, we did “Kakizome” on our first business day, yesterday. 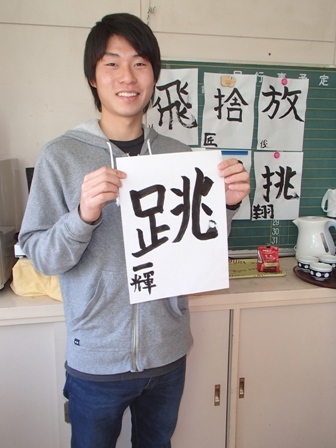 We wrote one word(kanji) which is the goal of this year for each. And let me introduce Kaz’s one! Please continue to keep following Kaz’s great success, Thank you! 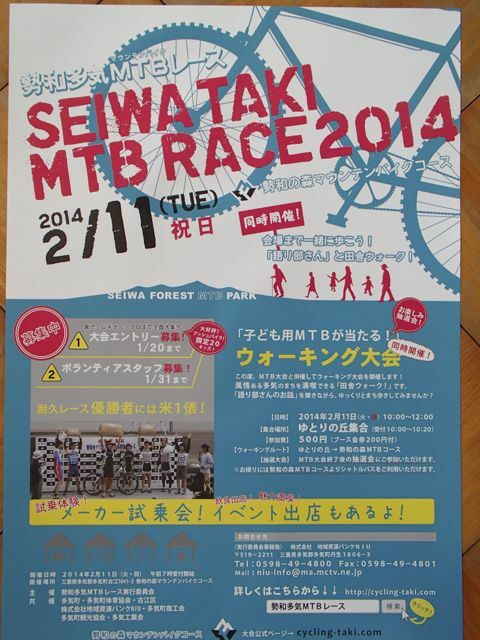 And I am also hoping your entry to the race (Seiwataki MTB race 2014) which will be held on 11th Feb.